Part of the coffee shop collection these uniquely ovoid shaped bolsters are sure to please. 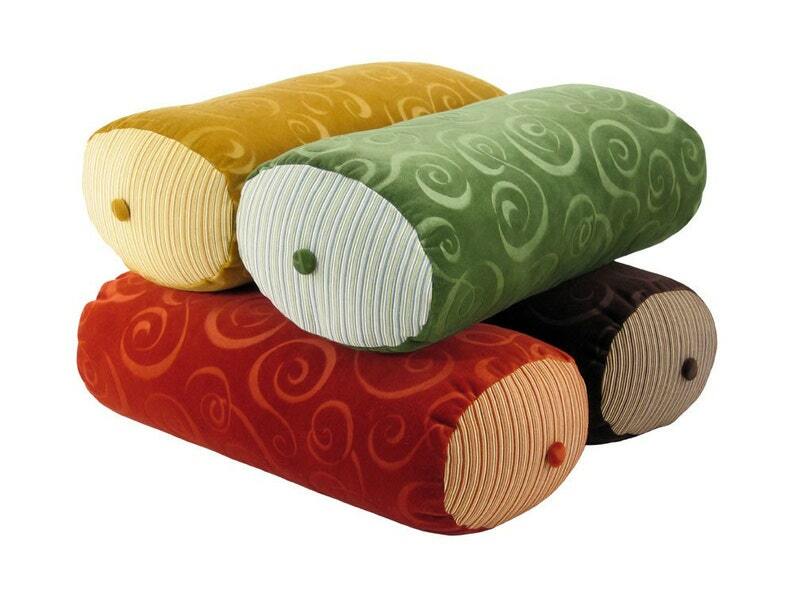 They feature the same embossed swirl velvet and striped fabrics as the rest of the designs. Embellished with fabric covered buttons. Handsewn closure. Stuffed with a Down-like polyfil.